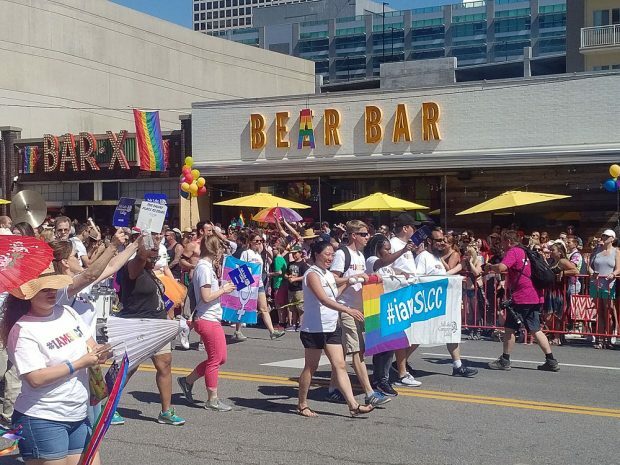 The 2018 Utah Pride Festival was held last weekend in downtown Salt Lake City. The festival, which started in 1974 with just a handful of participants, has exploded into a festive two-day event that temporarily leaves the otherwise mild city awash in rainbow color. 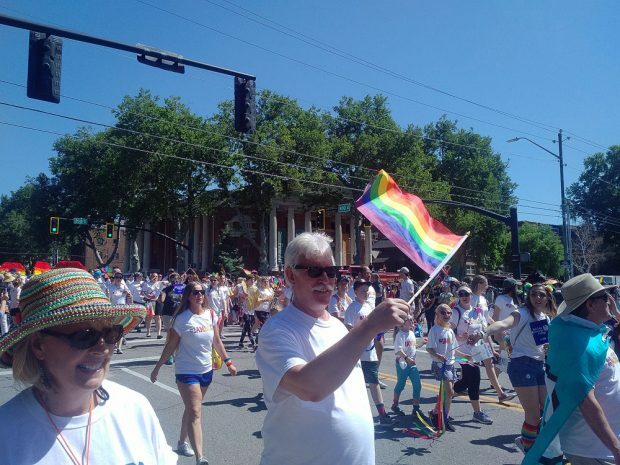 The purpose of the Utah Pride Festival is to celebrate diversity and inclusivity, and promote tolerance and equal rights for all individuals, but especially those in the LGBTQ community. The climax of the Utah Pride Festival is the parade. It’s a chance for businesses and local organizations to march in support of equality. Salt Lake Community College students and faculty represented by marching under the #IAMSLCC hashtag. The #IAMSLCC is a campaign created by Student Life and Leadership that celebrates the diverse makeup of SLCC’s student body and encourages inclusiveness and safety for all individuals. The message of unity and tolerance of the Pride Festival being very much in phase with the #IAMSLCC as well as SLCC students. “It represents equality, love and peace between everybody, regardless of your sexual orientation or what flag you’re under,” says SLCC student Lexi Brown. Despite the heat, SLCC students marched for blocks and were welcomed to cheers from the several thousand people to show up at the festival. Members of the marching band played tirelessly throughout the parade route. The crowd kept the students energized and the Bruin mascot, Brutus, handed out water to the sweaty students. “It was so fun, everyone was so energetic,” says Brown. Each year, the Utah Pride Festival grows exponentially, and SLCC does its best to be a reflection of the message behind Pride. “It’s about diversity, and inclusivity — just accepting everyone,” says SLCC student Mason Becker. The festival offers more than just a parade. There is food, drinks, art booths, live music and the chance for individuals to dress up — or down — and show off their unique style. 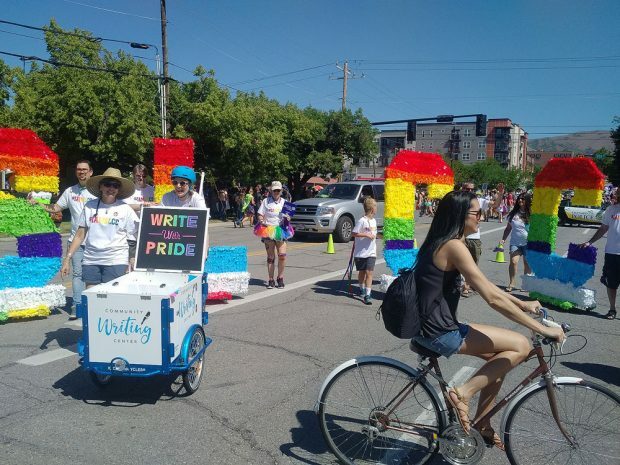 Nevertheless, the underlying goal of the Utah Pride Festival is to provide education, awareness and act as an advocate for those in the LGBTQ community. “It was a great experience,” says SLCC student Chase Larsen. Visit the Utah Pride Center for more information the Utah Pride Festival. Equality, Peace and Love! Awesome! Such an amazing parade at Pride! It was awesome to see SLCC representing! Is it possible to get one of the #IAMSLCC shirts?